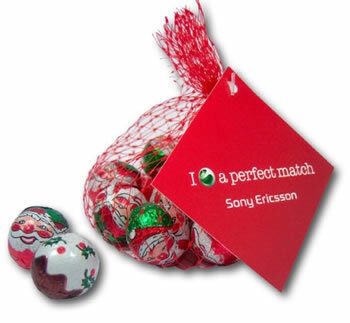 Foiled chocolate balls in net with digitally printed swing tag for personalisation. Minimum Order: 100. Shelf Life: 9 - 12 months.